Despite the fact that Nancy Pelosi tried to shut down the State of the Union Address, tonight, Trump will deliver his speech. Of course, democrats would rather if Americans didn’t pay attention to any of it. I’m not sure what they’re afraid of. According to Pelosi, Democrats are in charge. Of course, that can’t be the truth, because liberals are shaking in their shorts. In fact, Maxine Waters urges Americans not to watch the SOTU at all. 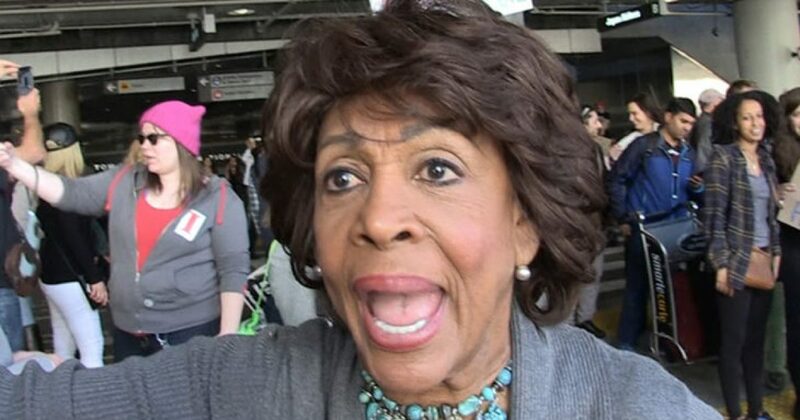 If anything, Maxine just guaranteed millions will tune in to hear what the President has to say. And she sure didn’t win any new fans with her suggestions. Maxine Waters is the black house slave in charge to make sure no one leaves the plantation. Maxine Waters wants black people to remain under government control by flooding the US with illegals to make sure black folks stay poor and on welfare to commit crime and fill the jails. It’s very telling when liberals will do anything to keep Trump from addressing the nation. The same day Pelosi and Trump struck a deal, Pelosi made clear she had no plans to invite Trump for the SOTU. In fact, Pelosi makes it very clear that she’s not seeking solutions. Instead, she prefers to be radicalized against the President at any and all costs. As of now, there is no deal to fund the government past February 8th. Even Trump only gives Congress a 50% chance of coming up with an acceptable solution. Meanwhile, a veteran by the name of Brian Kolfage managed to raise more than $20M in just over a month to fund the wall. Americans are willing to put their own money on the line to get the wall built. And that should tell democrats border security is important to most Americans. But instead of considering those facts, people like Maxine Waters and Nancy Pelosi are busy tooting their anti-Trump horns. And tomorrow, I’m sure Waters will add some new off-the-wall reason to impeach Trump. But tonight, all eyes will be on the President as he delivers the very truth leftists want to avoid.